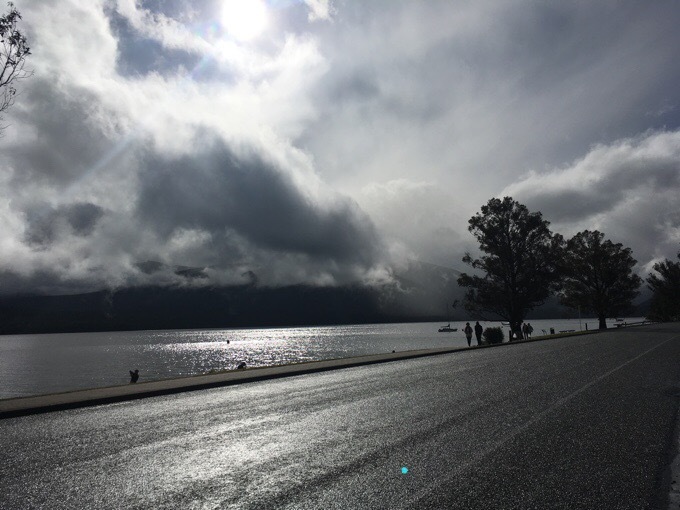 I didn’t plan on writing a post for this day and was going to combine the two Te Anau zero days into one post, but then enough happened today to make me want to write a post and also give tomorrow its own separate post. Since I was trying to get a break from blogging, and wasn’t planning on posting in detail today, I only took a few photos. I do want to give an update on Christophe. After just 24hrs, enough of you have responded and sent PayPal donations to Christophe to cover the pack and gear he had stolen out of a shelter near Arthur’s Pass. Just awesome! He has sent individual emails to those of you that gave so kindly and is greatly humbled and thankful to all of you. You all rock, and it’s really inspiring to see such kindness from people towards others even if they have never met before. Christophe is quite a kind and loyal guy that has pride in earning his keep. 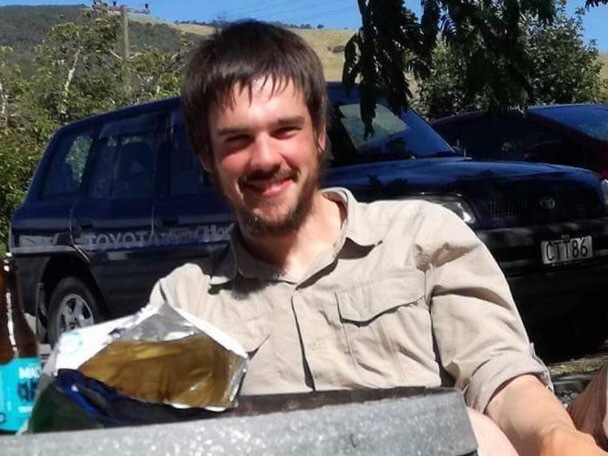 He has been in Arthur’s Pass and has a job in the works that he will hopefully be able to return to for the winter months here as he plans to stay the full year on his working visa that he has from France. It’s funny how things work out. This unfortunate experience has put a temporary pause on Christophe’s hike, but it has opened doors for him to pursue mountaineering (more his passion) after the hike now that he has found a climbing partner while in Arthur’s Pass and probably lined up a longer term job. He’s going to put in some time to secure that job for after the hike and still has time to return to the TA and hopefully finish up the hike before winter comes. His new gear is being shipped to him now and it’s great to see that something good has come of all this. Christophe wants to extend a huge THANK YOU to everyone that helped to replace his stolen gear! 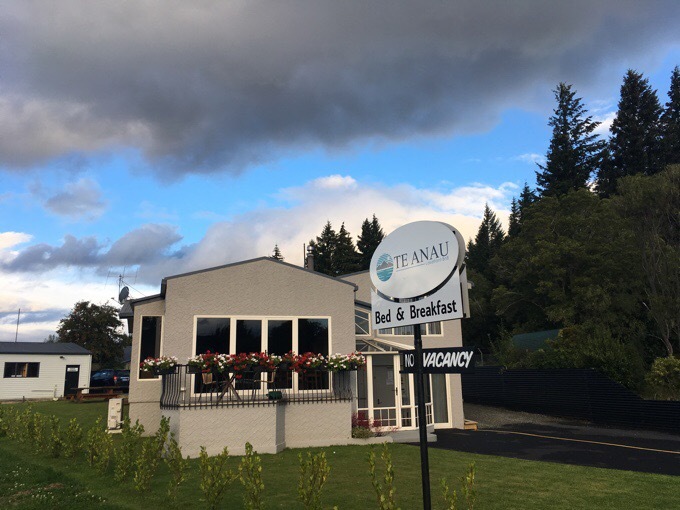 As for us today, we were up early on a 7:20am bus from Queenstown to Te Anau. The 2.5hr bus ride was quite nice and scenic. Rain cleared for much of it and made us wonder where the forecasted rainy day was. It was really supposed to dump today. I like how the buses have sun roofs. 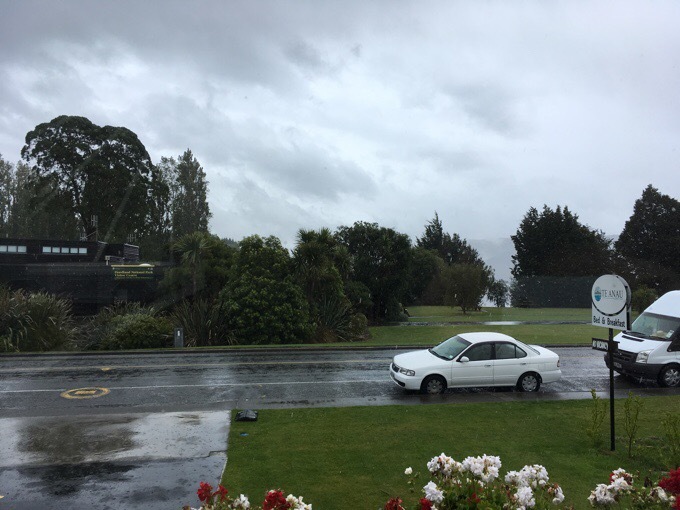 By the time we finished our brunch in Te Anau and walked to Lakefront B&B, which we have for two days, the downpour began. It was so wonderful to not be out there in the cold rain. This really was one day NOT to be outside. At the same time as the rain, there is also a cold front coming through, so the snow level has dropped significantly. We sat inside the B&B and watched the rain come down as we ate complimentary fresh muffins and fruit. Yeah, I could see the appeal of this kind of travel. As always, the days just seem to go by quickly in town. Meanwhile, Becky and Tom were arriving into Lake Tekapo. We took this opportunity to confirm plans for the birthday gathering in just a few more days. We got an affordable place booked in Queenstown for the four of us to share a hostel room at one of the hostels, which is tough to get in the jam packed Queenstown. Then we booked the big birthday event of the bungee and swing! We all have chosen the highest of the options, Nevis Bridge. Both Griggs and Tom will do the individual bungee while Becky and I will do the tandem swing. Ahh! I was hoping to embed a video, but can’t do that from my phone. If you Google Nevis Bridge bungee or swing, you’ll see what we’ll be doing. The bungee has an 8.5 second free fall. We set a timer for that to feel how long that is. That’s a long time! Yeah, I’m happy to be doing the tandem swing with Becky. I would have done the bungee, but it would have totally scared the crap out of me. It will be more fun for us to do this one together and watch Griggs and Tom do the bungee. As the day went on, the other couples at the B&B arrived. All had nothing but great things to say about doing the Milford Sound boat tour. We have an unplanned day tomorrow, and looked into it. It was much more affordable and easy to do than we thought. Also, we had nixed that idea because of light rain tomorrow, but then found out it’s just as great with a bit of rain because it brings out more waterfalls. We are right here and figured, heck, let’s do it! NZ really is amazing in how easy they make it to get information and book things. There is an iSite in every town and many have DOC (Dept of Conservation) sites for all the hiking stuff. Brochures are everywhere, and all are pretty consistent and straightforward. All the crusies do the same thing picking up in Te Anau (and in Queenstown as well), driving a couple hours to Milford Sound, with stops at sites along the way to get out and take photos, and then have pretty much the same tour on the boat. We were told that just the drive alone is worth the trip. 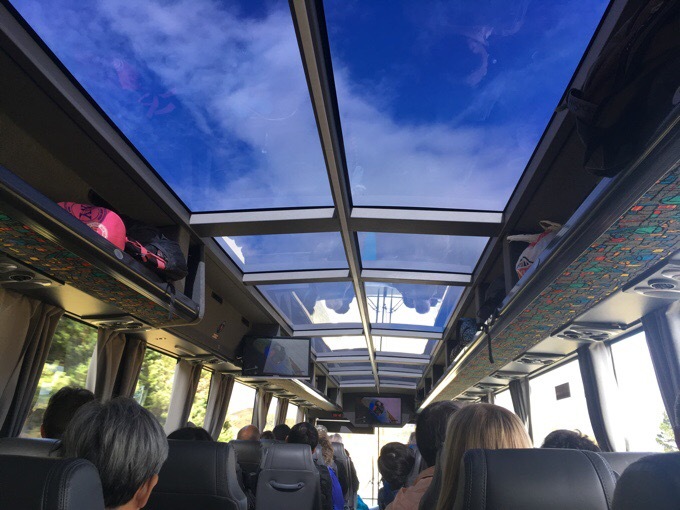 People can drive themselves, but it’s great that buses leave multiple times daily from Te Anau to do the cruise and we were able to book at 5pm the night before at the last minute. The tour we went with through Southern Cruises goes from noon to about 7pm and was only $120NZ/$90US. That includes the bus and the boat tour. Pretty great deal if you ask me. After all that, we walked into town and had a great pasta dinner and then did our resupply for the Kepler Track the day after tomorrow and got Subway sandwiches to take for the tour tomorrow, yum! I didn’t get to any of my Tassie planning because I’m a great procrastinator, ha! All day I thought I’d have the zero tomorrow to do it, and now we booked a tour, haha. It will happen someday. I’ll try to get motivated in the morning, but I’m least productive in mornings for that kind of thinking. Just awesome….everything! Christophe is one happy guy now and you, Erin, made it possible to happen through your blog. The kindness of strangers who gave so generously is truly moving and makes me believe in the essential goodness of humankind, no matter what happens in the world. Lots of good things happens to the lucky ones around you Erin. So “perfect” to hear about Christophe! I’m liking your zero plans too. I wonder if they are still playing the Fiordland on Film movie in town. It shows the beauty of Fiordland from the air. Ask. It was very good. Trail Magic Supreme: so happy for Christophe. Reminds me of Becky’s blessings too. Erin, you did well in posting what happened. And now you deserve the Zero to cruise. Gotta love the power of the blog!!!! That’s so awesome about Christophe. I’m so glad to hear that he was able to replace his gear AND now even better things are happening for him.